We just celebrated one of our favorite days of the year, Day of the Dead. 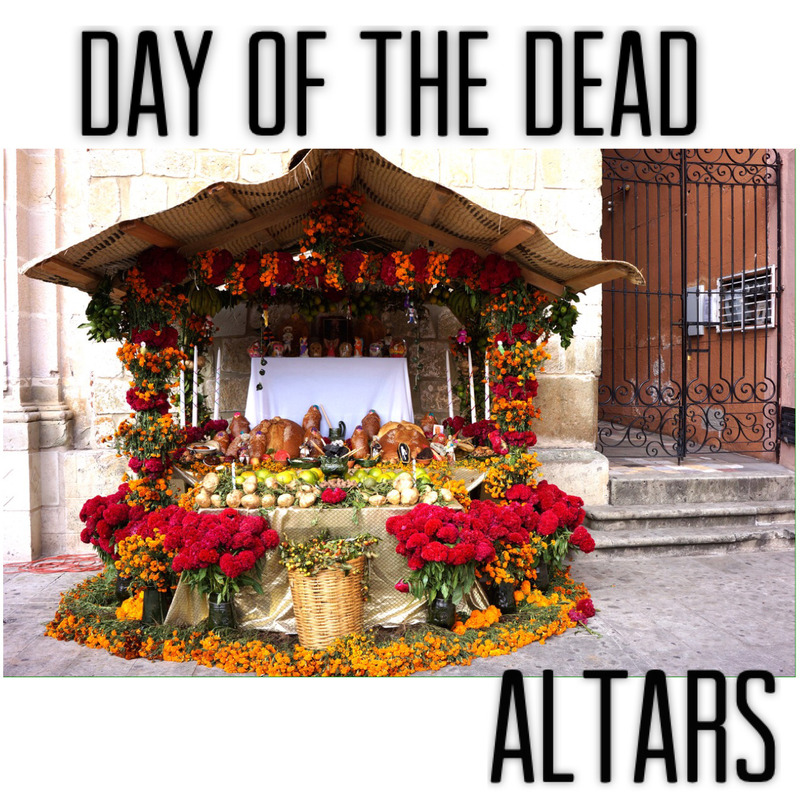 The meaning behind Day of the Dead can be traced back thousands of years to the ancient civilizations that rose and fell in Mexico prior to the Spanish arriving in 1519. These indigenous cultures, like the Mayans and Aztecs, believed in the afterlife. Death did not mean the end of one’s life, but a continuance of life. Souls traveled to the afterworld and through death, new life was created. It was believed that death was not to be feared, and that the deceased preferred to be celebrated rather than mourned. 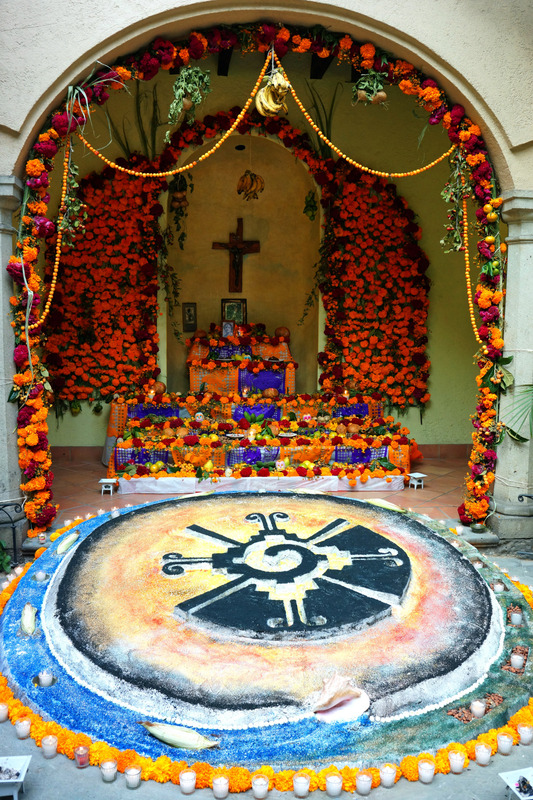 Once a year the Aztecs held a festival celebrating the death of their ancestors. This festival took place in the summer and lasted for a month. After the Spanish conquered the Aztecs in 1521, life for Mexico’s indigenous populations changed drastically. Catholic beliefs were introduced and, over time, fused with indigenous beliefs and rituals. 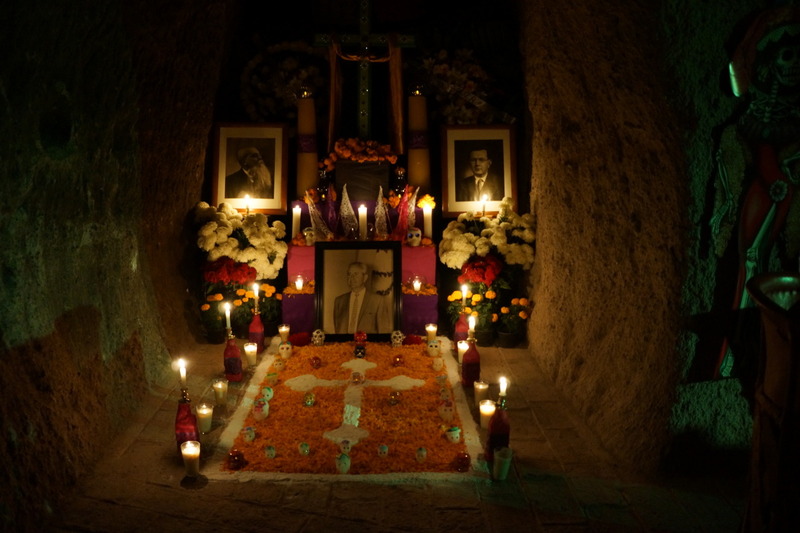 The Spanish were unable to stop the pre-hispanic ritual of honoring and celebrating the dead, but they did successfully transition the festival to the fall and shortened it to two days so that it would correspond with two Catholic holidays: All Saints’ Day and All Souls’ Day, which take place on November 1st and 2nd of each year. 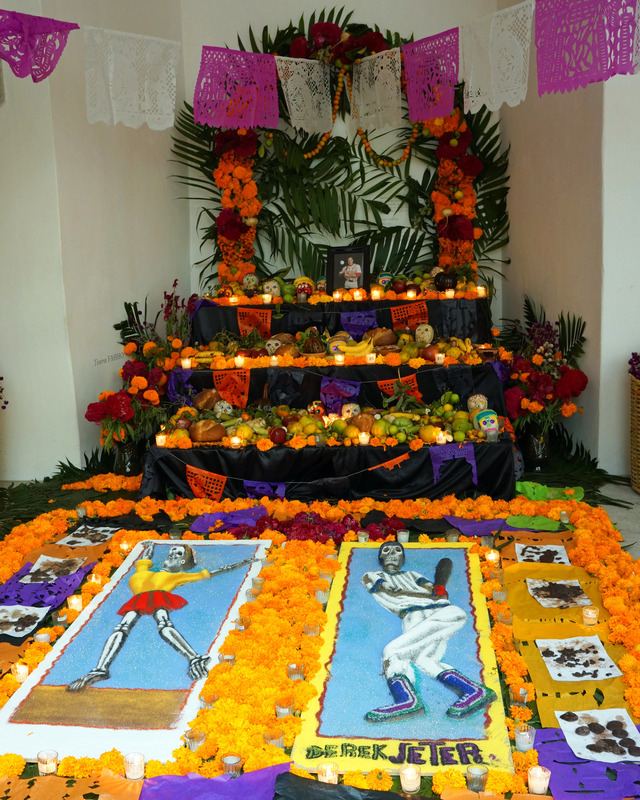 Dia de los Muertos has evolved over time, influenced by a European worldview introduced in the 16th century, and yet sustained by the native customs and traditions that have alway been at the heart of the celebration. 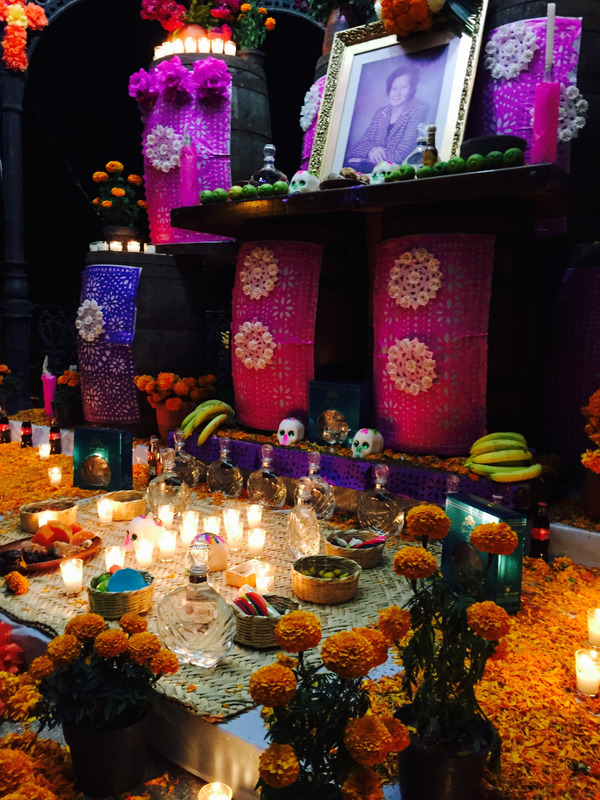 During Day of the Dead, it is believed that spirits of the deceased return to earth to be with family and loved ones. Angelitos (little angel spirits) arrive on October 31st, at midnight, and stay for 24 hours. Adults return on November 1st and stay through November 2nd before returning to the afterworld. 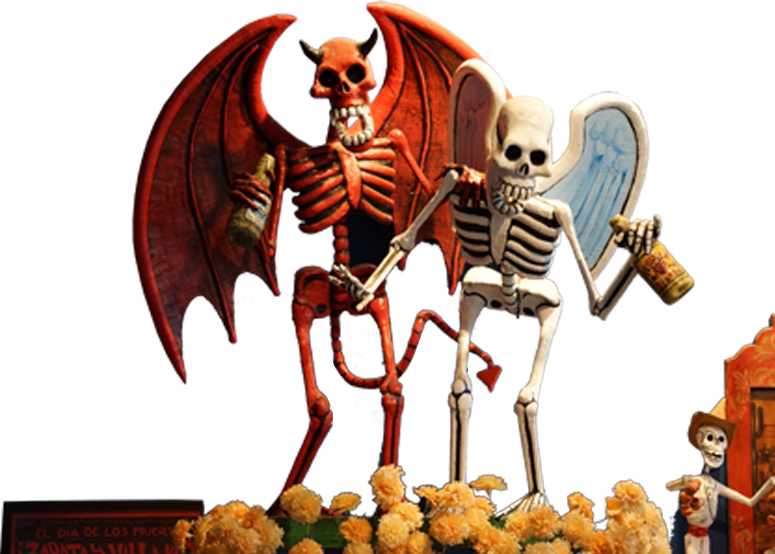 Planning and preparations for Day of the Dead begin weeks and even months in advance of the holiday. 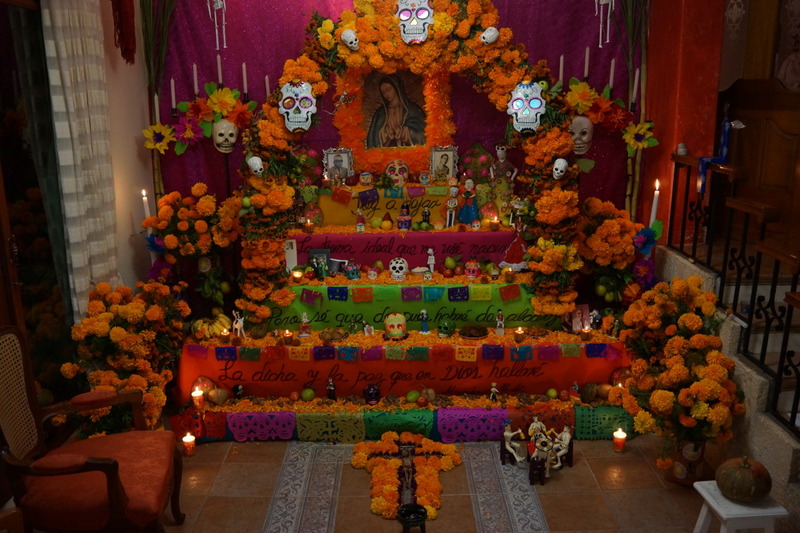 An important part of this preparation is the creation of ofrendas, or alters, to welcome home returning spirits. 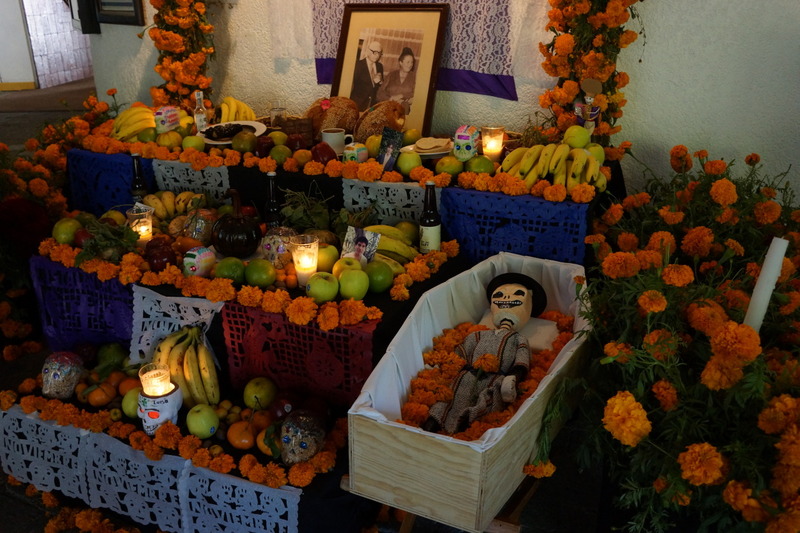 On the ofrenda, many significant objects are placed as gifts to the deceased loved ones. Usually a glass with fresh water is set on the altar so the spirits can quench their thirst after their long journey. The use of water has several meanings. It reflects the purity of the souls. And it can also reflect the regeneration circle of life and death. Objects representing fire, wind and earth are also placed on alters. Fire is represented by candles, which help guide the spirits to this world. 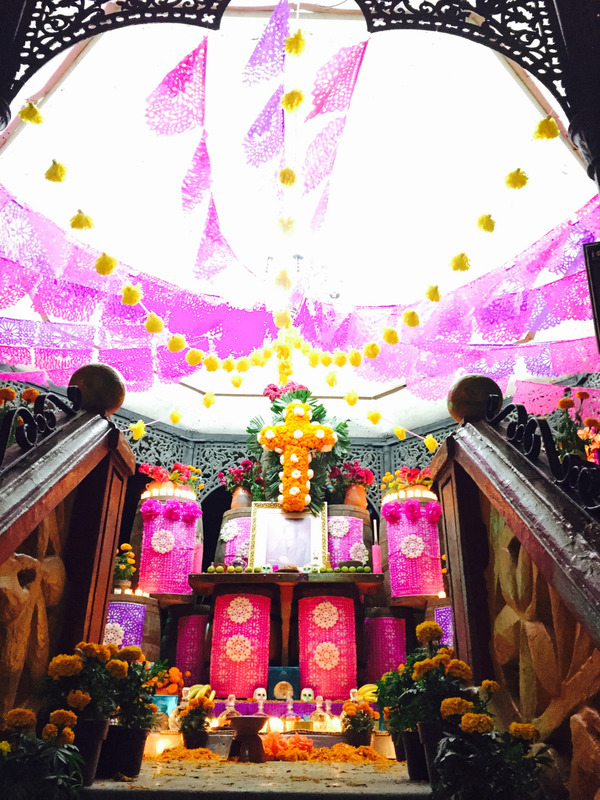 Wind is represented by papel picado, which are colorful paper/tissue banners punched with holes. 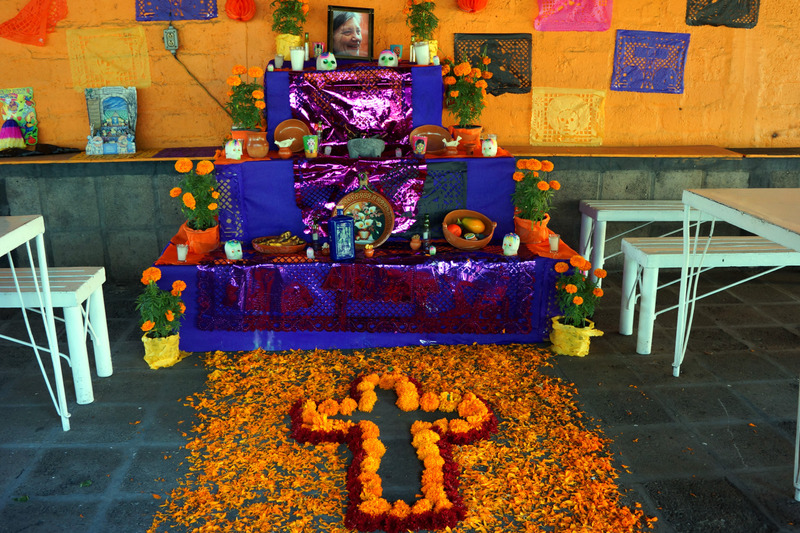 Earth is represented by offerings of food, such as pan de muerto (bread of the dead). The arch is the highest part of the altar, symbolizing the entrance to the world of the dead. 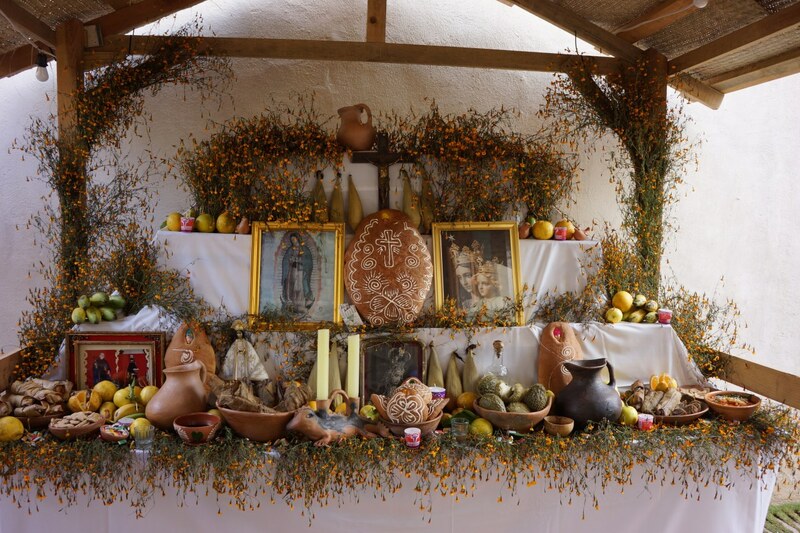 It is usually decorated with cempazuchitl, marigolds that are native to Mexico and known as the “flowers of the dead.” Copal incense is burned on alters to carry up praises and prayers. 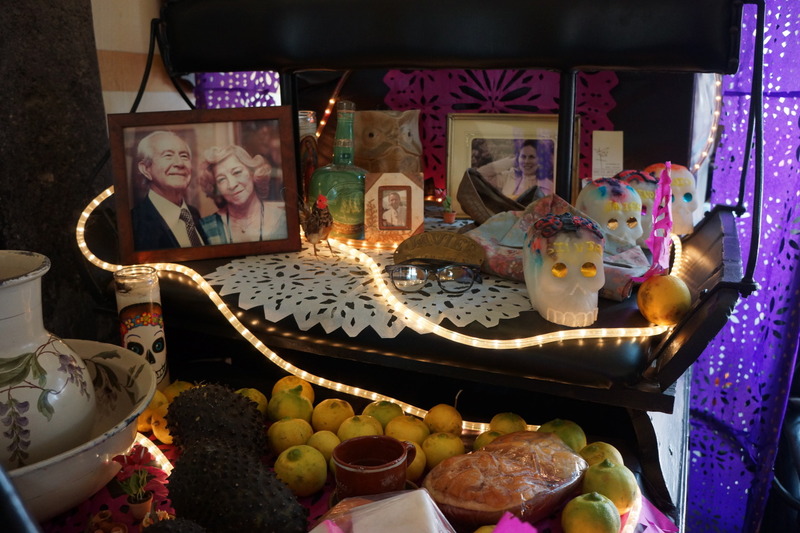 Other essential objects and gifts placed on alters are photos of the deceased, religious items, offerings of their favorite foods and drink, and skeletons – usually sugar skulls, which serve as a reminder that death is always present. Previous PostEl Pandillo Tequila Distillery is Pure GeniusNext PostBienvenido Mezcal Vago! ©Bone Garden Cantina Atlanta, GA 2019 All Rights reserved.